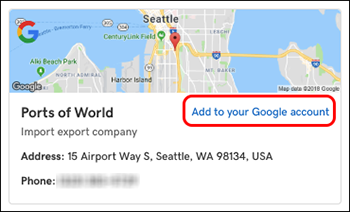 Once you have listed your business with Website Builder, you can take ownership of the website's Google My Business listing by adding it to your Google account. Website Builder monitors your Google My Business account and provides stats on your reviews and search traffic. By taking ownership, you will be able to manually update your profile details and manage those reviews directly. 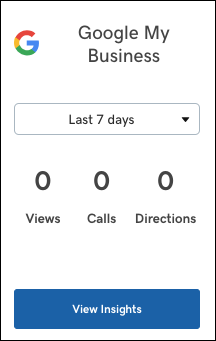 To see your listing, click Dashboard and View Insights in the Google My Business card. In the Choose an account window, select your Google account, enter its password and click Next. Follow the remaining prompts to complete the ownership request. GoDaddy will automatically transfer ownership to you within 24 hours. Note: You'll know the process is complete when the link no longer appears in your Google listing. You'll still be able to view & manage your listing in GoCentral or by going to your Google business account. How to have links in my header that take you to the sections on the home page in GoCentral? 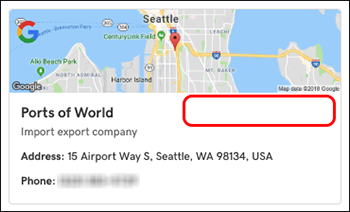 How can I paste the google global site tag to all my pages ?